We're starting to kick things into high gear for TISKC this January 19th-20th 2013. And to really kick things off in style, we're currently raffling off a set of Eliot Shook Mini Revolution Banners! 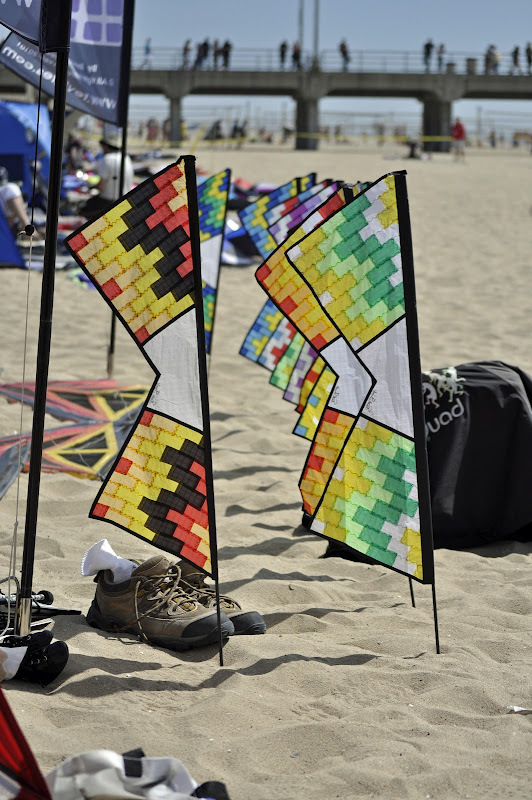 Generously donated by Flying Smiles Kites, these are the same banners you've seen on competition fields from New Jersey to Florida, and now you have the chance to own a pair of your own! One banner is in the traditional Red & Black of TISKC, and the other is the special "Flying Smiles" mixture of Yellow, Green and Blue. Tickets are just $5 each (max of 5 tickets per person, please), and a total of 30 tickets will be sold. All proceeds go to offset the cost of operating the TISKC event. Currently, less than 20 tickets remain, and the prize drawing will be held on or around December 7th, 2012, so don't delay! We'll have a few more raffles to run before the event itself begins, so keep checking back for details! Click on the banners to enter! If a person "donates" $25, that gets them 5 of the 30 chances? I have the grey fade version of this banner. It's very cool. A gift from Ben. In for one.....how many are left? Can I pay with Paypal instead of google wallet? Yes, I'll send you a donation invoice via Paypal instead. If you allow me to buy more than the five I already purchased, we can end this auction very quickly. The last two have been sold, once I've received everyone's payment, I'll hold the drawing and announce a winner!